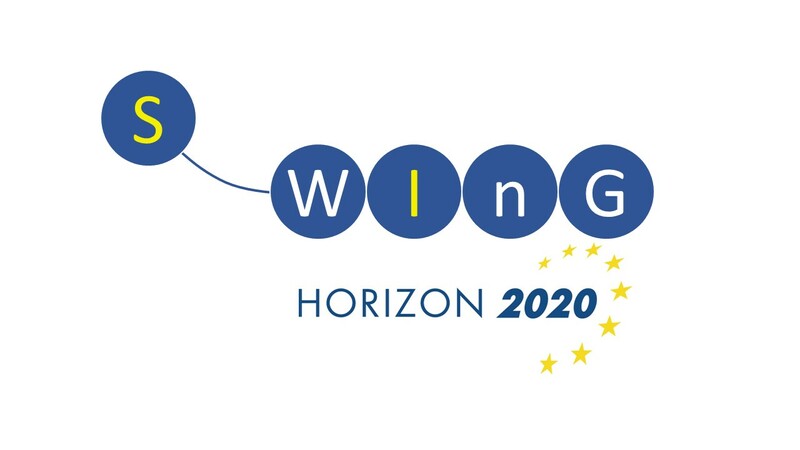 SWInG is an European project supported by the Horizon 2020program. The aim of this project is to develop wide band gap thin film solar cells based on kesterite absorbers for future application in high efficiency and low cost tandem photovoltaic devices. Among the partners there are laboratories, European R&D infrastructures and companies involved in material science and process development technologies. Some of them own records for CZTSe thin films technology. Among the participants are one university, four European research institutes and two European companies. The project duration is three years, starting from June 2015 till June 2018 and the project is coordinated by dr. Marc Meuris (Imec-Leuven). The SWInG project focuses on the development of the processes for the synthesis of solar cells based on the Cu2ZnXY4 (with X=Sn, Si and Y= S, Se) compounds and on the understanding of the physical and electrical properties of the high band gap absorber in order to reach high conversion efficiency. The key research challenges will be the development of up-scalable processes for the synthesis of the absorbers, defining the specifications for high-quality wide band gap absorbers with efficiency on the order of 15 %, finding suitable back contact and buffer/window layers, and assessing the potential of this technology for PV application. Obtaining, based on the wide band gap kesterite technology, a breakthrough for sustainable and non toxic TF-PV. The task of ELIS group (UGent) within the SWInG project is to perform advanced electrical and optical characterization techniques and to model the test devices that are produced by the other partners. Another aim is to develop a simulation model that can be used to describe the device performance, and also to indicate in which way kesterite and tandem PV solar cells can be improved.